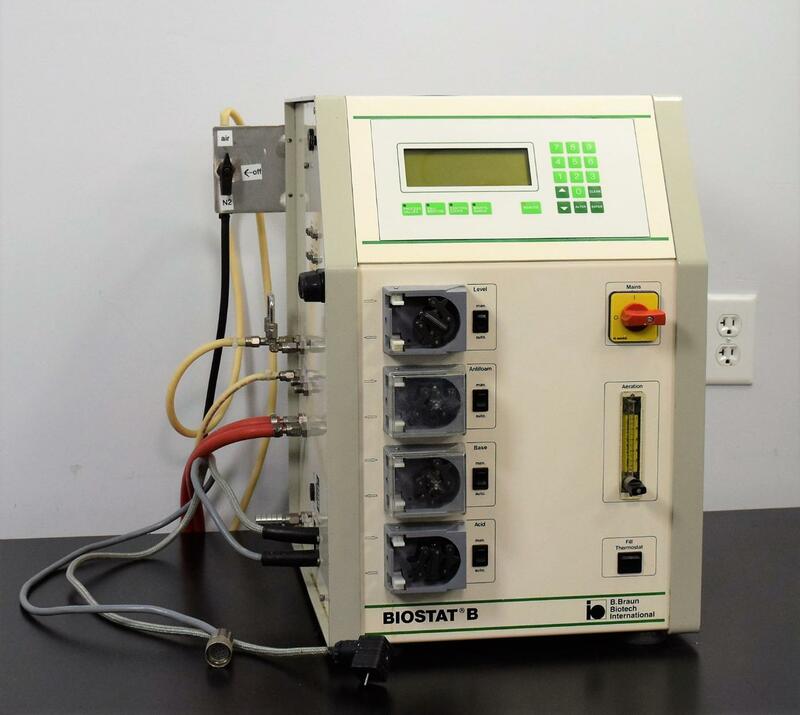 B Braun Biostat B Fermentation Cell Culture Bioreactor (Type 8840334) . New Life Scientific, Inc.
without any issues. The unit is very clean and in great physical condition. believe to have been recently replaced. In our testing, we ensured that individual components were operating properly. the temperature and PH sensor ports had correct outputs. Buying pre-owned can be unnerving. We know you want assurance in your purchase. goes wrong, our in-house support is only a phone-call away. We also offer continued support, including consulting and technical questions. We may be able to exchange or replace units in a pinch. but the ports are operational.